Any dive operator can take you out for a couple dives, but by joining the Co. Co. Dive Team you'll transform what was previously a casual hobby into a lifestyle and make friends and memories that last a lifetime! The only thing better than finding something you’re passionate about is having people to share that passion with, and that is precisely the purpose and function of our Team. Our social events range from casual evenings sharing a drink after an awesome day’s diving, to our legendary Dive Parties that are remembered for years to come! Of course, there's also the chance to travel to top dive destinations within Malaysia and abroad at great prices thanks to our group-booking discounts. As well as social benefits, our dive club membership has some considerable practical benefits too. Our Team is naturally affiliated with our dive shop so you'll also enjoy preferential pricing on certifications (-10%), equipment (-10%) and dives (-25%). Furthermore, when Co. Co. Dive host lectures from expert speakers or offers work on conservation projects, our Dive Team members are the first to know. Most importantly Team membership encourages you to keep diving, and to add to your dive experiences rather than letting your gills dry out! 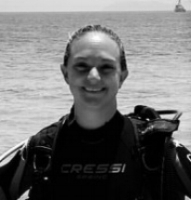 Our Team is an especially good option for those of you whose family or friends aren’t avid divers. Instead of turning up for a dive buddy-less and alone, you’ll find yourself diving with friends and enjoying the peace of mind that comes from buddying with someone whose personality and abilities are familiar. Joining our Team is also a good idea for nervous or beginner divers, who will benefit from the support and advice of our more experienced members. The Curtin Dive Club (CDC) is the only student dive club operating in the Miri Sibuti Coral Reefs National Park. Located on the university's doorstep. Members get the opportunity to dive unspoiled and uncrowded locations in near perfect conditions. The CDC promotes safe and affordable diving catering to all levels of experience. Membership is not only for current students; Alumni and Curtin staff are welcome to join too. Weekend diving, club trips, research and conservation programs and cheap gear hire are just a few of the added benefits you score as a CDC member. Remember that offers only available with a valid club membership and card. Get your application forms on the CDC Homepage here. Membership is RM100 per year, but this fee is currently waived. There will be other offers as the year goes on which will only be available to dive club members, such as trips away, equipment courses and special dive package promotions. The Tenby Seal Team is for aspiring young scuba divers (aged 8 years or older) who are looking for action-packed and seriously cool fun in the pool, meeting friends and sharing in the adventure of the underwater world. No prior experience with scuba diving is necessary, but kids should be comfortable in the water and parental approval is required. The PADI Seal Team program teaches responsibility and respect for the aquatic realm. It’s broken into two parts: Part one, AquaMissions 1 - 5, covers basic scuba diving skills, such as breathing underwater, clearing a mask of water, recovering a regulator and swimming around experiencing the sensation of being weightless. Each session takes about an hour and by completing these AquaMissions kids are able to become recognised PADI Seal Team Members. The experiences may also count toward the PADI Open Water Diver course when they're old enough to participate in the course. Together, we’re re-thinking what’s possible and sharing a positive vision for our ocean future. Get ready for the work ahead by joining the movement of thousands of divers to protect our ocean planet. Want to know more? Check out Project AWARE's Frequently Asked Questions. Reef Check was established in the USA in 1996 to raise awareness on the importance of, and threats to, coral reefs. The local chapter, Reef Check Malaysia (RCM), was registered as a non-profit organisation in 2007 to engage with the local community as well as protect, restore and revive coral reefs in Malaysia. RCM partners with a global network of trained and certified EcoDiver volunteers to conduct annual Reef Check surveys to assess the health of reefs around the islands of Malaysia. RCM also conducts education and awareness programmes, along with coral reef rehabilitation programmes. For certified divers, the best way to get involved in Reef Check's conservation programmes is to join our survey trips. First you will need to enroll in an EcoDiver course, which trains you to do Reef Check surveys. You will then be able to participate in surveys (not just ours, but anywhere in the Indo-Pacific!!!) to collect the data we need to assess the health of coral reefs. The information from the surveys has very practical uses in identifying problems facing the reefs, and finding solutions. Doing a Reef Check survey dive is very different from doing a normal leisure dive. Survey diving requires not only a high level of concentration and discipline, but also requires the diver to have good dive skills, to avoid damaging the reef and to collect good data. Divers must be able to hover motionless and dive inverted (head down, feet up), while carrying a slate and recording data. These skills are not often used while leisure diving. We have developed some simple performance requirements that are used to assess divers. The EcoDiver course can be done in three days. We arrange pool and academic sessions in Kuala Lumpur during the East coast monsoon season, and trips to the islands early in the year to complete the course.